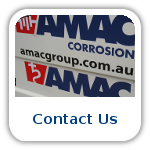 AMAC Group: /AMAC Corrosion /About AMAC Corrosion /Why Choose AMAC? 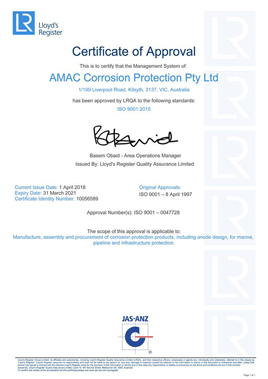 To promote the production of uniformly high quality products, AMAC Corrosion is certified to the requirements of ISO 9001:2015 by Lloyds Register of Quality Assurance. The AMAC Corrosion Quality Management System covers every stage of the production process  from design, to manufacture, right through to delivery. 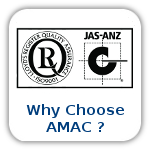 The key objective of the AMAC Corrosion Quality Management System is to continually improve. 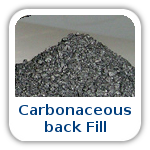 This is achieved by reviewing and refining all processes critical to producing high quality sacrificial anodes and associated materials and equipment. 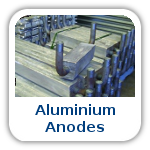 One of the most critical aspects of sacrificial anode performance is alloy composition. To provide optimum protection from corrosion, sacrificial anodes must meet the chemical composition requirements specified in standards such as the Australian Standard AS2239. 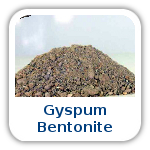 The chemical composition specified in standards such as this, are based on years of research by highly qualified Corrosion Engineers. 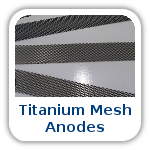 If anodes do not meet the requirements of these standards, they may offer limited protection, no protection, or worse still, actually cause corrosion. To ensure all anodes meet the required specification, AMAC Corrosion's laboratory technicians spectrographically test at least one sample from every batch of anode material against a NATA approved master sample. Every sample from each batch is stored for the design life of the anode. This process ensures that every AMAC anode will function at its optimum capacity and therefore offer the most effective protection. 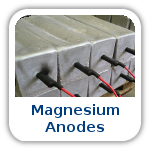 AMAC Corrosion conducts anode performance tests to ensure anodes function to their optimum. 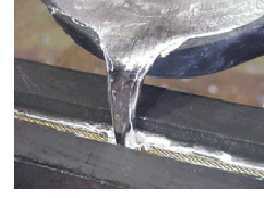 Standard tests include: consumption rate and capacity testing; open and closed circuit testing; resistance testing; mechanical testing, dimensional testing; coating thickness testing; magnetic particle testing of insert welds; and destructive testing of anodes to examine insert centrality, bond integrity and grain structure. 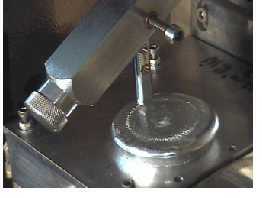 In addition, AMAC Corrosion technicians conduct testing unique to particular customer specifications. The laboratory facilities are designed to be flexible enough to accommodate variations on standard testing procedures. AMAC Corrosion manufactures an enormous range of anodes, from simple catalogue items such as 0.5 kg yacht hull anodes to 4 tonne bracelets specifically designed for offshore pipelines. AMAC Corrosion's manufacturing facilities consist of specialised high output casting foundries dedicated to the manufacture of Aluminium, Lead Silver, Magnesium and Zinc anodes. 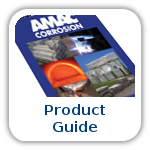 AMAC Corrosion has accumulated many hundreds of moulds that produce thousands of anode types for every application. Our extensive range of moulds allows us to cast to almost any dimensions. Our versatility is what sets us apart. Numerous variables such as mould temperature, humidity, casting temperature, casting technique, alloy composition and insert material affect the quality of the anode. 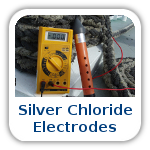 If the preparation or materials are not correct, anodes may crack, cold shuts may develop or any number of problems may occur that affect the quality of the anode. 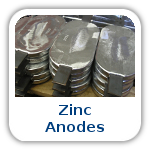 AMAC Corrosions dedicated team of production staff have an exceptional understanding of sacrificial anode manufacture based on knowledge accumulated over more than 25 years. High quality anodes are dependent on the purity of the raw materials and cleanliness of the casting equipment and facilities. To ensure anode purity, all raw materials undergo thorough inspection and every alloy batch is spectrographically tested prior to anode casting. 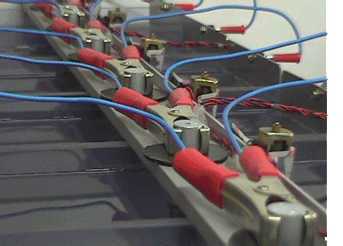 Anodes can only be cast if the spectrographic analysis is within specification. 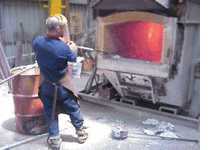 Casting moulds must be correctly cleaned, chemically treated and preheated to the optimum temperature prior to casting. 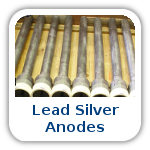 All casting equipment such as ladles and transfer pots undergo thorough cleaning and treatment to ensure no contaminants enter the anode material. 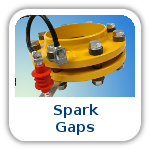 If required, steel inserts are linished or sand blasted prior to casting and wire cores are purchased free of oils or lubricants to ensure that no residue enters anode material. 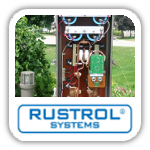 Engineers can easily calculate details such as current output and anode mass, but the best anode design for a particular application should be based on the expertise of Corrosion Engineers working in conjunction with the manufacturer at the design stage of a cathodic protection system. 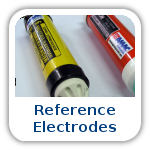 Cathodic protection systems developed at AMAC Corrosion are based on the conceptual requirements specified by Design Engineers and the reality of actually manufacturing the final product. 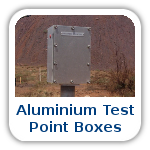 AMAC Corrosion designs and manufactures monitoring hardware such as Groundbed Control Boxes, Test Point Boxes and Monitoring Posts. AMAC Corrosion has a range of standard products, all of which can be customised for individual installation requirements.